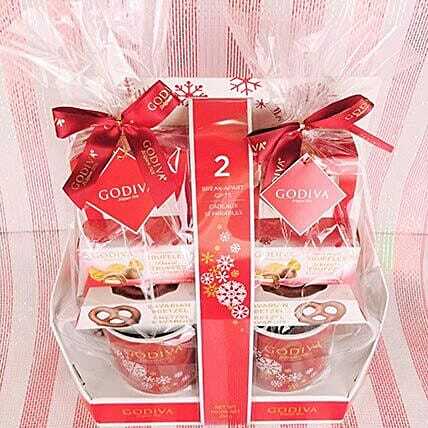 A luxurious gift hamper filled with chocolates, pretzels, truffles and two stylish coffee cups. The hamper is wrapped up in a beautiful packaging paper and tied nicely with a red ribbon that makes it more desirable. Gift it to your loved ones on the occasion of Diwali, Christmas or New Year to make the celebration more joyous for them.